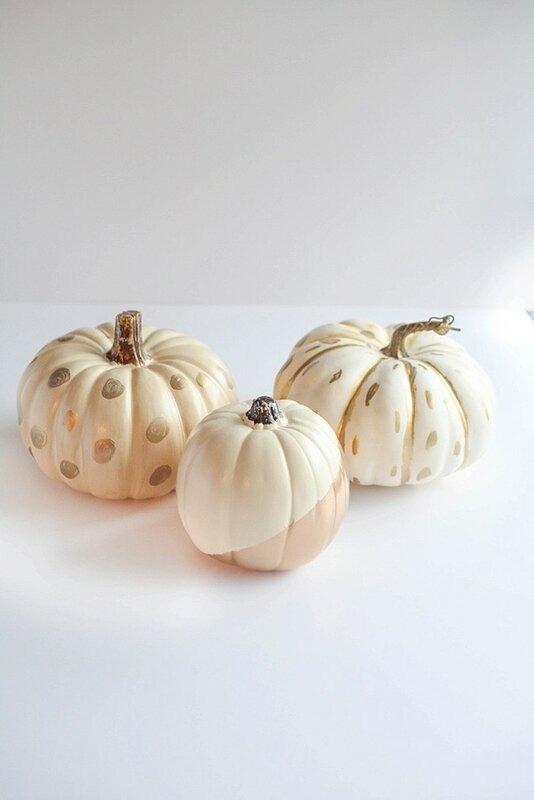 Ready to make a statement with your pumpkins this season? 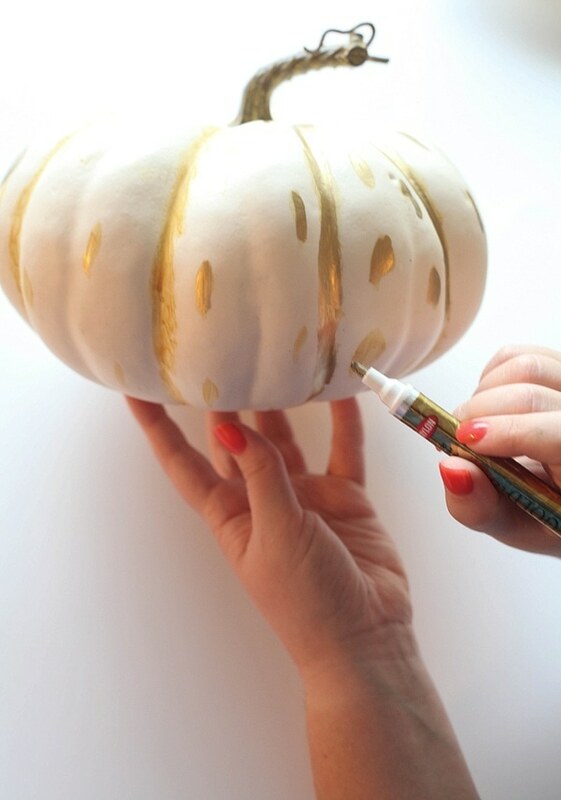 Making these adorable gold leaf pumpkins are easy! 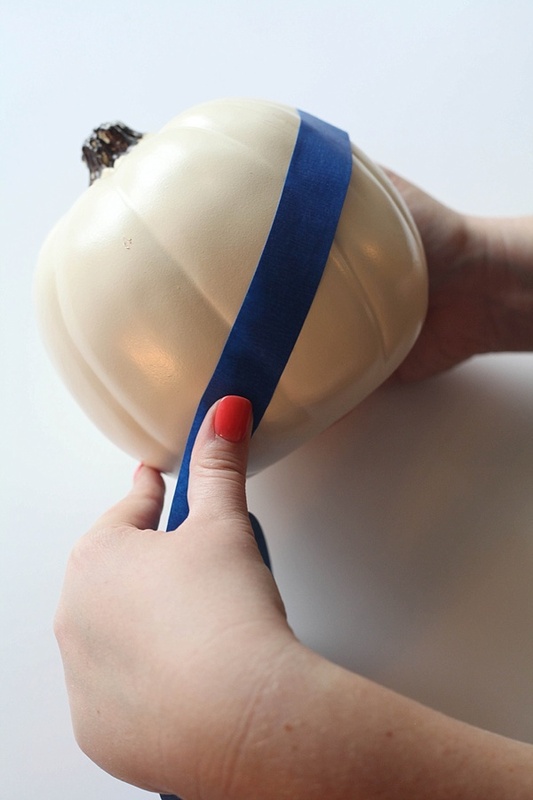 All you need are a few basic supplies, 30 minutes of time and you’re golden (haha). 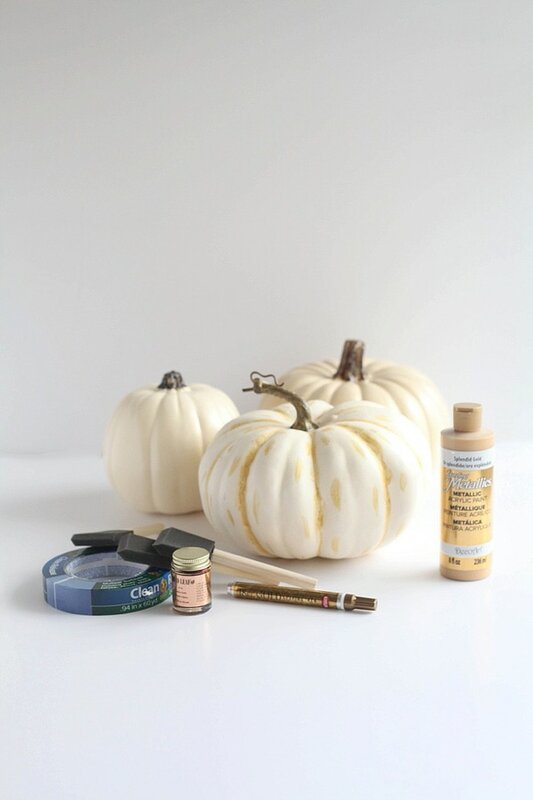 Round up your supplies, which start with some craft pumpkins. They can be found at your neighborhood craft store for under $10 each normally. You’ll also need a gold leaf pen and liquid gold leaf. I did try this with gold craft paint as well, and the results were not nearly as good. We decided to do three different ways with ours, the first already had some sort of natural pattern on it with strips of orange so we simply covered this with the gold pen which gave it a much more handsome appearance. 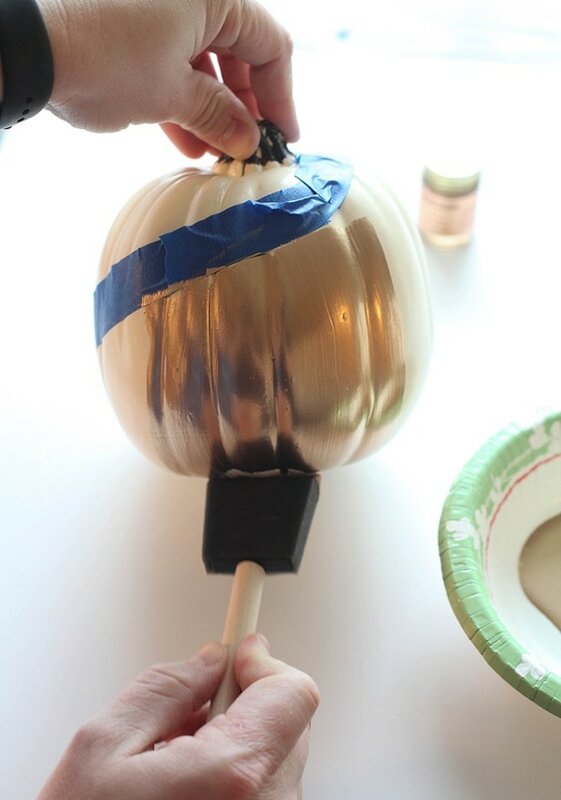 On the second one we used the pen to make polkadots and the third, we used the liquid gold leaf to create a diagonal pattern across the pumpkin after taping it off with painters tape. 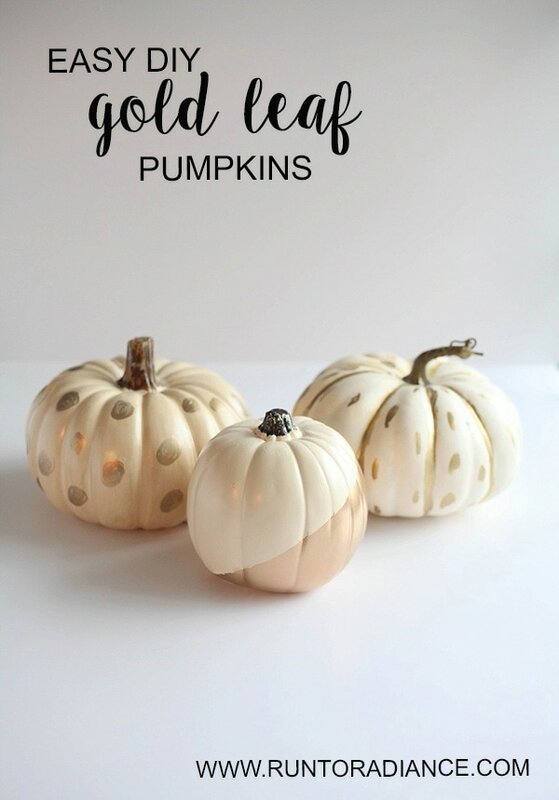 Let them dry for a few hours and you’ve got the most blingy pumpkins on the block. As good as gold right? Just so cute! Love the gold! How cute and classy these turned out – I’d love to do these next year and display them inside, thanks for sharing! Pinned! 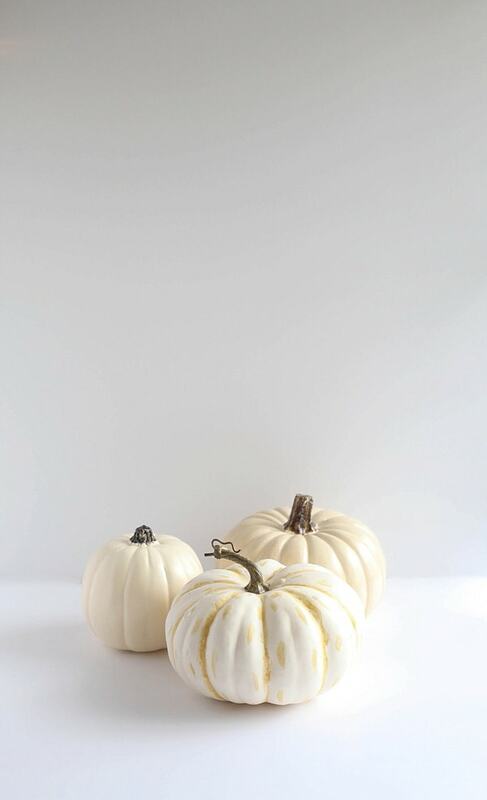 I’m so into gold and metallic this season, these pumpkin turned out beautifully – absolutely gorgeous! Very easy craft and such a great transformation! Wow! They are perfect for the Thanksgiving table. I love them. Thanks for sharing. This is so cute! 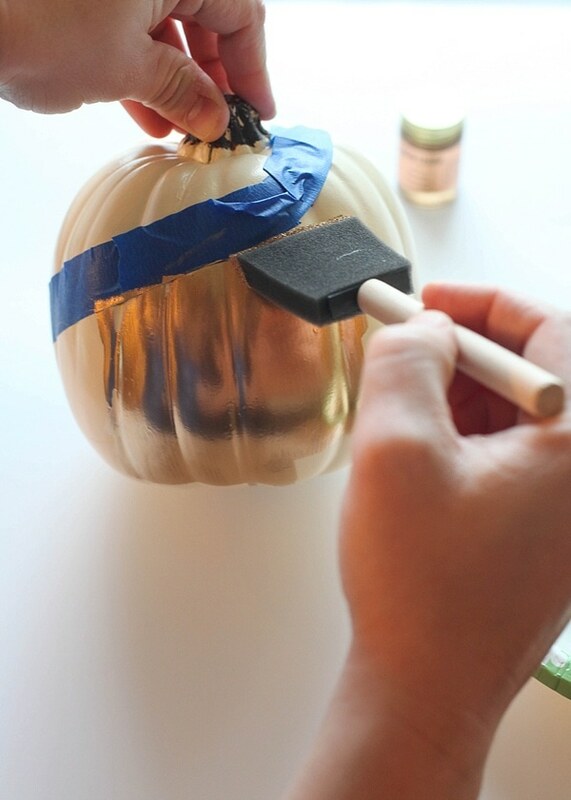 I plan to try this with some pumpkins this year!